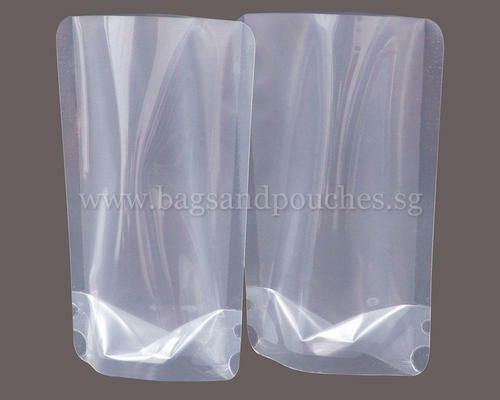 We, Swiss Pac Private Limited established in 1992 are serving our customers by Manufacturer and Exporter a high-quality Pouches, Zipper and Packaging Bag. The offered range consists of Stock Products, Custom Products, and Pouches. Production materials for these products are provided by the certified vendors of the industry. The product range offered by us is highly appreciated by our clients for their high quality, scratch resistance, and lightweight, easy to carry and hygienic nature. Our offered products cater the needs of various industries such as fresh foods, coffee and tea packaging, bakery packaging, frozen foods, dairy products, pharmaceutical products, confectionery packaging, cosmetics, beverage packaging, cold brew coffee packaging and pet food. We mostly export to America, UK, Canada, Thailand, Singapore, France, Italy etc and all over the world. To manufacture these products as per the industry standards, we have developed a sophisticated infrastructure facility. Our team members are chosen by our management team on the basis of their educational qualification, knowledge, and experience. Further, for hassle-free execution of business-related tasks, we have divided our infrastructure unit into many operating units such as R & D, admin, sales, quality testing, procurement, production, logistic, warehousing, transportation, and marketing. Our teams are highly devoted towards fulfilling the variegated requirement of clients within a stipulated time period. Additionally, we upgrade all the installed machines at regular intervals in order to boost the production rate.